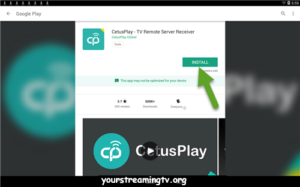 CetusPlay Remote Download & Install. 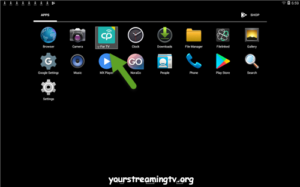 Why struggle using the remote that came with your device. 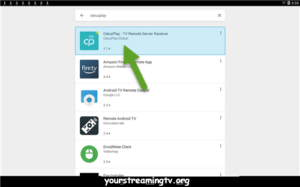 Install CetusPlay Remote and take the headache out of using your streaming media box. 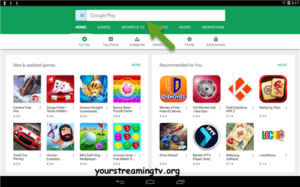 On any Android device open the Play Store as seen in photo. Click on the search box as seen in photo. In the search box enter CetusPlay and click enter as seen in photo. Next click on CetusPlay as seen in photo. 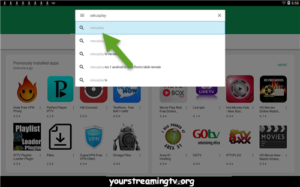 Next click on CetusPlay again to go to install page as seen in photo. 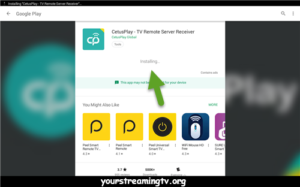 CetusPlay will start to download as seen in photo. Next CetusPlay will start installing as seen in photo. Next you can click to open it from here as seen in photo. Or you can find it under apps as seen in photo.